﻿ Christian kids' video, FULL VIDEO HALF HOUR EPISODE, SELFISHNESS. Christian kids' video, full episode about selfishness, funny kids' show. 'Jovis Bon-Hovis and the Creation Crew', Season One, episode 3, full half-hour episode absolutely free! Exploring selfishness in a fun way. Christian kids TV show about selfishness. 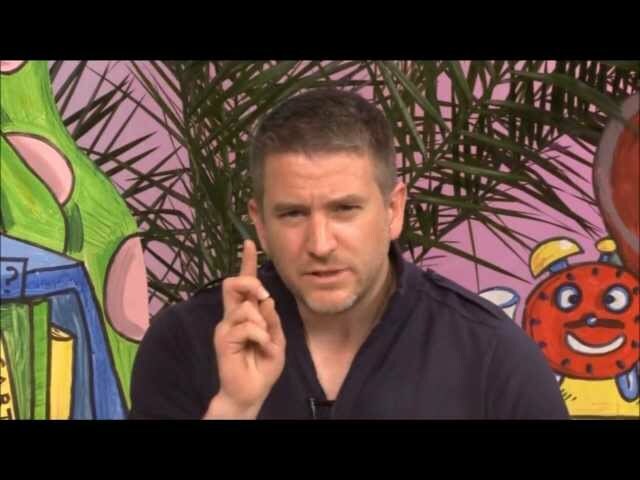 Jovis Bon-Hovis and the Creation Crew is a brand new Christian kids TV show made in the UK jam packed full of wholesome laughs, Christian stories, kids' Bible study time, Christian arts and crafts, Christian kids songs as well as comedy and adventure which your little ones will love! Season one comprises thirteen half hour Christian kids movies, each a stand-alone lesson taught with fun and comedy! Aimed at children between 3 and 7 years, there's something in these Christian kids movies for everyone! Full of the hilarious wacky comedy of Creator and star Joseph Cheetham-Wilkinson, these films will have your kids glued to the TV set again and again. This half hour Christian kids movie deals with the nature of our relationship with Christ and his call to us to be giving and loving people in a way that children can relate to, which is relevant to the lives of little ones and enables them to take ownership of their own budding faith. Jovis is struggling with selfishness, thinking that the more of something he keeps to himself the happier he will be. It is important to notice that this episode is about selfishness and wanting to keep things to yourself rather than share, it should not be seen in any way as a lesson concerning over-eating or eating disorders, this is not the intention at all. Jovis Bon-Hovis and the Creation Crew aims specifically to offer faith to children as something purposeful and relevant to them, rather than an abstract adult experience. Our Christian movies never point the finger, but instead share the Christian faith with children in an enjoyable and inclusive way, inviting them to nurture a closeness with God built on friendship, through Jesus Christ.